Danish pop/rock group New Politics return to Nashville tonight at Exit/In, supported by electro-rockers Magic Man and semi-local alt-rock act Sleeper Agent. This will be New Politics’ first Music City show since their breakout 2013 release, A Bad Girl in Harlem, and since becoming the go-to opener for the high-profile likes of Fall Out Boy and Paramore. You can catch the group supporting FOB this summer at Fontanel, but, for a more intimate headlining experience, you don’t want to miss out on this evening. Tickets are available here. Despite hailing from Denmark, New Politics have made their way to Nashville several times over the past few years, all in support of their eponymous debut. However, it’s their sophomore effort, A Bad Girl in Harlem, propelled by the success of singles “Harlem” and “Tonight You’re Perfect,” that has begun to transform the band into a breakthrough mainstream staple. Catch ’em while you can, because next time around they’ll undoubtedly be playing a much, much larger space. Though they appear to be a relatively new act, Boston electro/indie/alt/snythpop band Magic Man have had a busy and successful past year. Between the breakout success of single “Paris,” signing to Dr. Luke’s Prescription Songs, and tours with the likes of Walk the Moon and New Politics, this is a band you definitely should be keeping an eye on! We told you a lot about Bowling Green’s Sleeper Agent when they recently took part in “A Weekend with The Weeks” at Mercy Lounge. The young band have amassed a jaw-dropping list of accomplishments in a just a few short years, and their sound, which hovers between alt, pop, and indie, is smart, energetic, and infectious enough to make them a perfect choice to open this show. Don’t miss ’em! 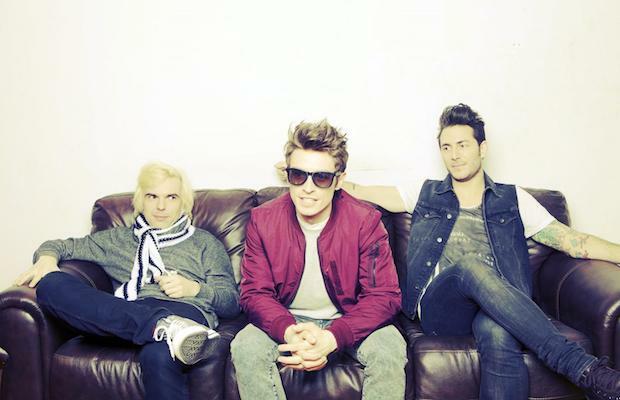 New Politics, Magic Man, and Sleeper Agent will perform TONIGHT at Exit/In. The show is 18+, begins at 9 p.m. (doors at 8 p.m.), and tickets are available for $17. Did you see “Waves” by Sleeper Agent? I’m obsessed.